The schooner Elegant from Kalmar anchored. 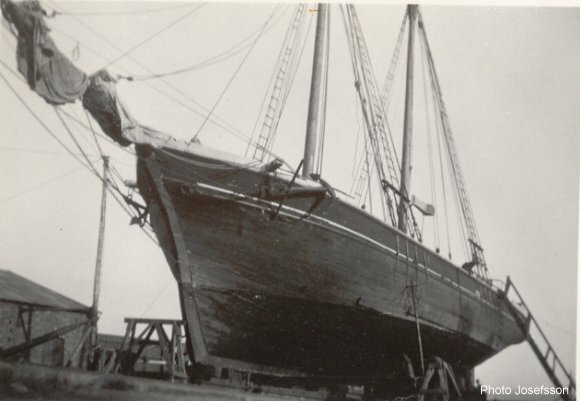 Schooner Elegant at the shipyard in Kalmar. The sailing schooner Elegant viewed from her bowsprit. 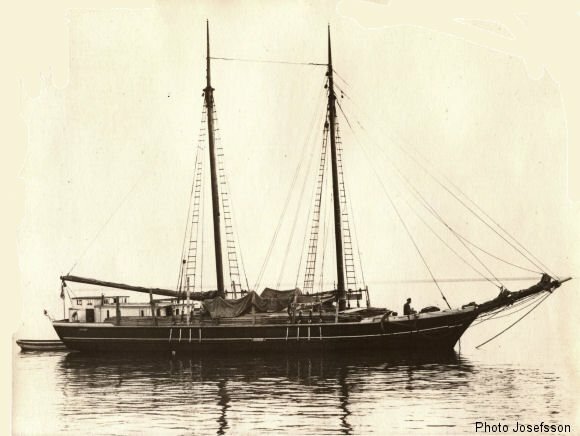 My father owned and ran the schooner with my uncle as the only crewmember and occasionally with my mother at the steering wheel, especially when two men was required to manage the sailsetting. During the World War II the fuel was expensive and hard to get. Therefore they used the sail as much as possible. 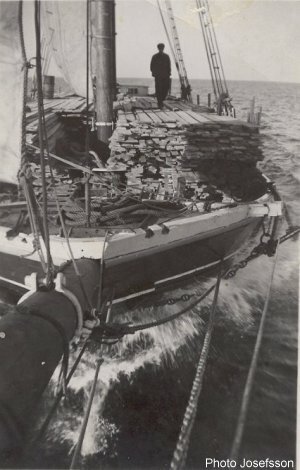 To afford to use the engine at all, the crude oil had to be mixed with pine tar.